This beauty was posted by the artist, Donnie Graciado, to my Facebook wall. Watercolor piece by artist Donnie Graciado AVLO. It’s hard to believe this oil painting by Nina Rivera is her first work in this style. This piece makes me smile. @wickedbonesart uses color so beautifully in all her work. So, here you have just some my latest finds. I love updating this type of post because there are so many people out there making incredible art. If you want to see some of my previous finds, check out THIS LINK. If you run across any artist that you think I should feature, please let me know. Marketing, Mindset and Mi Vida Loca: Lady Boss Marketing tips for small business owners who want to up their game. This week’s marketing section focuses on the customer profile. When you ask most small business owners who their product is made for, they will say EVERYBODY. They try to attract everyone. That may work for some companies but it’s rare. How would you feel if someone wanted to date you… and everyone else on your block? You probably would kick them to the curb QUICKLY. Creating customer profiles helps you market to the people that buy most from you. This episode hooks you up with 5 points to creatine a strong profile. 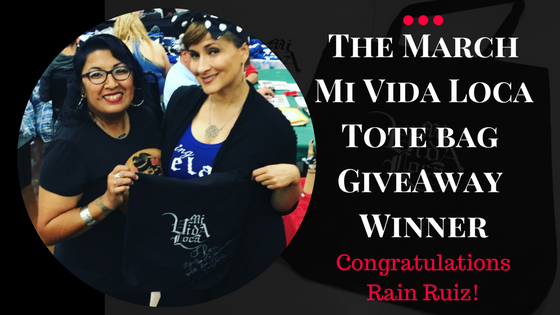 Mi Vida Loca March Totebag Giveaway Winner. A couple of weeks ago I announced that I would be giving a signed Mi Vida Loca Bag away. My request was for comments on how you first heard of the film and/or what it has meant to you. The responses were so touching and there were so many of them on Facebook, Youtube and Instagram. We did a random draw and never in a million years did I think I would actually be handing over the signed bag in person!!! The winner Rain Ruiz is a jewelry maker from L.A. She was at our Mi Vida Loca PopUp event and I was so excited to meet her. Check her out of Facebook and Instagram. Here’s a little video of Sparkles and me announcing the winner. We will have another giveaway next month so stay tuned! I am so grateful for and humbled by, your loyalty. Thank you and MUCH LOVE. There is a whole lot of news and commenting about “cultural appropriation.” Some people hate the idea of one group of people adopting elements of another’s culture, while others find it flattering. I personally think they WAY something is done makes a big difference in my gut reaction towards it. I am lucky enough to have a bunch of eyes on the net looking out for art, film and other reflections of culture that peak my interest. My 15 year old is one of them and a couple of weeks ago we had a conversation about a Snap she found online. Her: I thought you knew! I knew these Cholas were hot a long time ago. I guess the world knows now! In terms of fashion, any look into Chicano culture should include Pachuca style. Big props to my friends at Pero Like for creating this artful and educational glimpse into the women making waves back in the day. I am doing an event in March. It’s a pop-up “Mercado” being put together by none other than the amazing Cynthia aka Sparkles Carranza. She called me with a list of the artist that have committed to showing up and now, I am giddy. The list goes on but I am going to feature one at at time. This woman… THIS CHINGONA… this magical creature is coming and I am over the moon. Drumroll please… Dorys Dee Araniva!!! Dorys Dee is the founder of DxCollective (if you don’t know… ask somebody! Or you can go to their website www.dxcbrand.com) Dorys Dee is a woman When I do my video blog I will rant about her but for now, check out her Instagram post. Chicano culture rose up from the Mexican American civil rights movement of the 60’s. 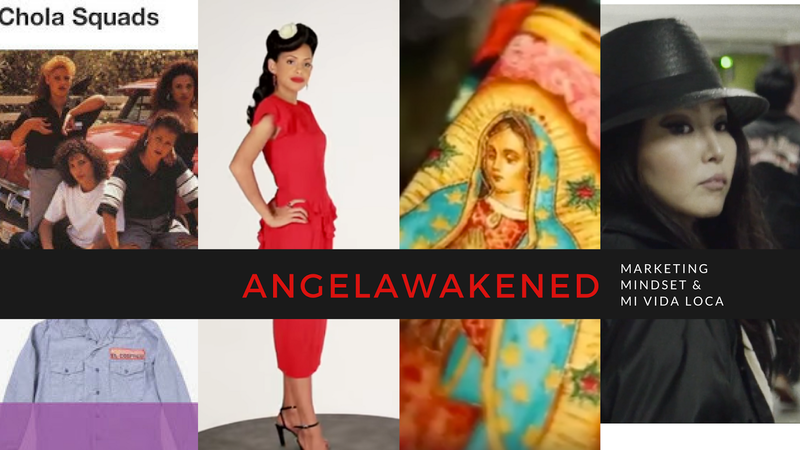 What the word Chicano represents now and how Lowriders and Chola aesthetics fit in, is content for 50 more documentaries. Chicano チカーノ from LOUIS ELLISON on Vimeo. Here is another Asian community that has embraced Cholo culture. A lot of people think that cholo culture demeans or takes away from the reputation of the Latino community. There are people that have complained that Mi Vida Loca propegated stereotypes. These are opinions and everyone is entitled to have their own. I do think that art in itself can only provide a snapshot of a broader world. The best an artist can to is incite a feeling or evoke an emotion. Good or bad, this is the job of the artist. I am proud to have created a work that represented something deeper (to me) than just baggy jeans and big hair. I don’t need to elaborate on exactly what that representation was. If you want to know… just ask a fan. Anyway, my beauties. I hope this post tickled you and made you more eager to explore your big world with an open mind. I love you to pieces. More fun with the kids over at PeroLike! Mad props to Curly and Maya for their incredible sense of humor. Buzzfeed launched PeroLike in 2016 and they are kicking @**!!! 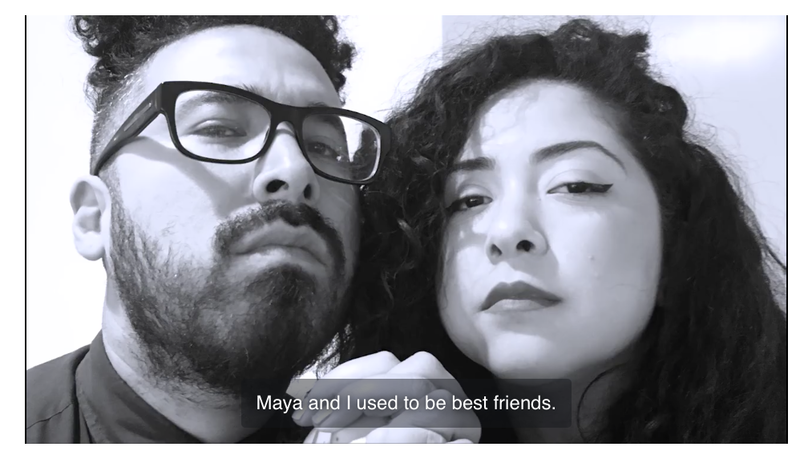 We’re launching as a Facebook and YouTube channel, making content that resonates with English-speaking Latinxs (who are, to put it mildly, kind of a big deal). We’re a group that’s historically been under- and misrepresented in media, and we’re here to change that. The purpose of this initiative is to feature the best, funniest, smartest, and most in-depth look at the myriad identities under the “Latinx” umbrella. This is for blaxicans in LA, Tejanos in Corpus Christi, Cubans in Miami (and their abuelitas), and everyone who’s been told they don’t “look Latina.” It’s for the bold, the proud, the creative, and even the hopelessly awkward. We’re here for you too, man. Works of art like this are not only humbling beyond words, they are an ever-present reminder to follow our dreams. Even now, as I sort through a rediscovery of my purpose and passion, I am so grateful to connect with the unmistakable force of nature that compels us to create. I am a huge fan of murals. 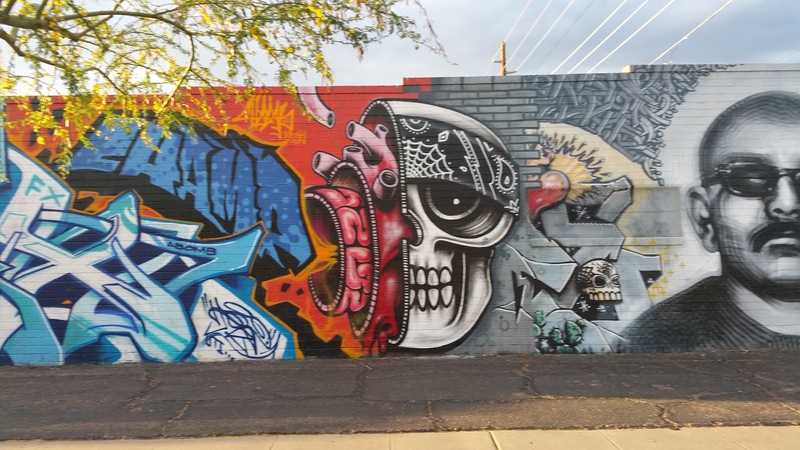 I try to take pictures of murals where ever I go. 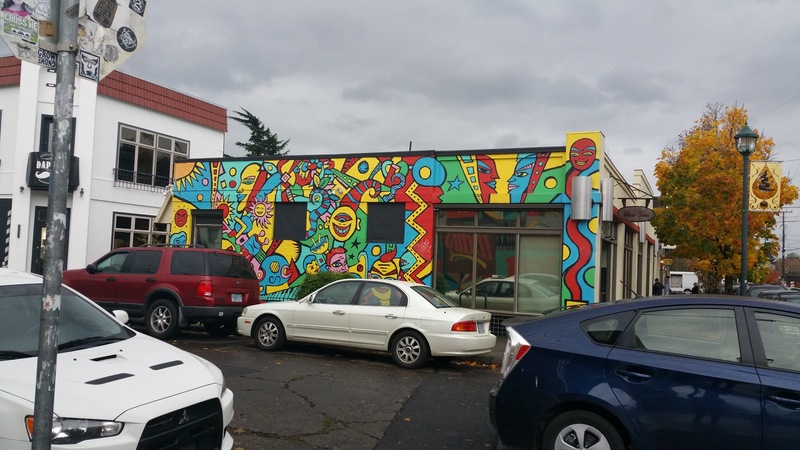 Murals are not only beautiful, they are a form of expression and they can also be a tool for (r)evolution. 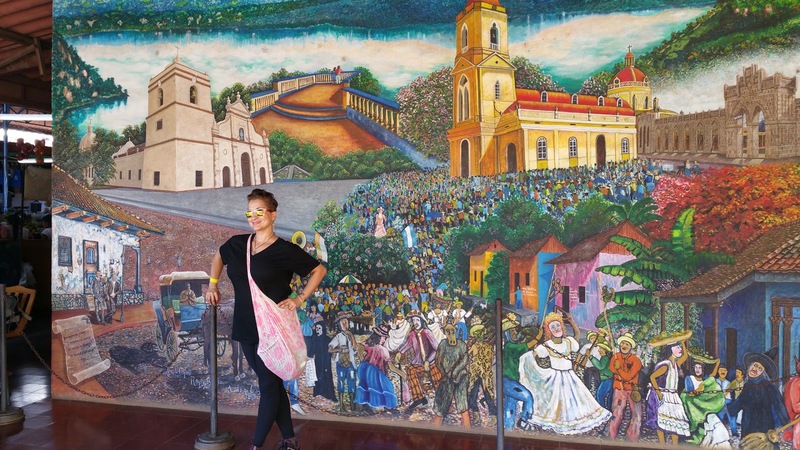 If you are ever in Los Angeles, you can see some AMAZING murals and you should also check out SPARC (The Social and Public Art Resource Center) in Venice. Judith Baca is the founder of SPARC as well as a professor at UCLA. Here is just a brief article on what she has to say about art changing lives: PBS American Family. I wish more artists (and when I say artist, I mean ALL people with an urge to create) would read stories like Judith’s. The urge to create can at times feel like a curse but it is a calling. When we listen and respond, we participate not only in the transformation of our own souls but in the overall transformation of our community. As always, I am wishing you the very best on your amazing journey. Thank you all for sharing mine!